The rapid development of Korean cinema during the decades of the 1960s and 2000s reveals a dynamic cinematic history which runs parallel to the nation’s political, social, economic and cultural transformation during these formative periods. This book examines the ways in which South Korean cinema has undergone a transformation from an antiquated local industry in the 1960s into a thriving international cinema in the 21st century. It investigates the circumstances that allowed these two eras to emerge as creative watersheds, and demonstrates the forces behind Korea’s positioning of itself as an important contributor to regional and global culture, and especially its interplay with Japan, Greater China, and the United States. Beginning with an explanation of the understudied operations of the film industry during its 1960s take-off, it then offers insight into the challenges that producers, directors, and policy makers faced in the 1970s and 1980s during the most volatile part of Park Chung-hee’s authoritarian rule and the subsequent Chun Doo-hwan military government. It moves on to explore the film industry’s professionalization in the 1990s and subsequent international expansion in the 2000s. In doing so, it explores the nexus and tensions between film policy, producing, directing, genre, and the internationalization of Korean cinema over half a century. 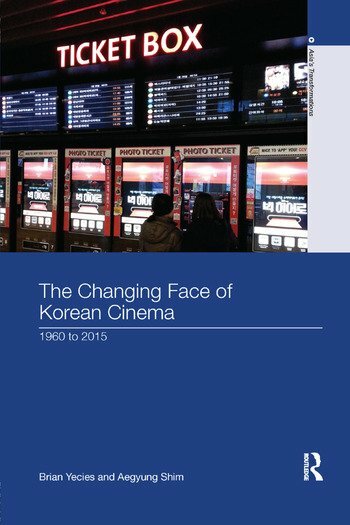 By highlighting the recent transnational turn in national cinemas, this book underscores the impact of developments pioneered by Korean cinema on the transformation of ‘Planet Hallyuwood’. It will be of particular interest to students and scholars of Korean Studies and Film Studies. Brian Yecies is a Senior Lecturer in Cultural Studies at the University of Wollongong, Australia. Aegyung Shim is a past Korea Foundation Postdoctoral Research Fellow at the Institute for Social Transformation Research (ISTR) at the University of Wollongong, Australia.